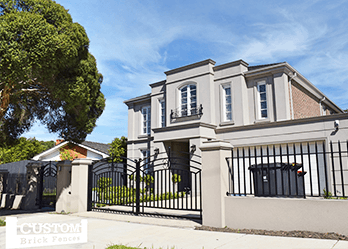 At Custom Brick Fences we’re dedicated to offering fencing to Essendon residents with the best quality gate and fencing for Essendon that offer both security and elegance. As result of over 15 years in the business, our experience, passion and flexibility speaks for itself. We cater to the greater Melbourne area, our clientele spans across beach-side suburbs like Brighton through to western suburbs like Essendon. 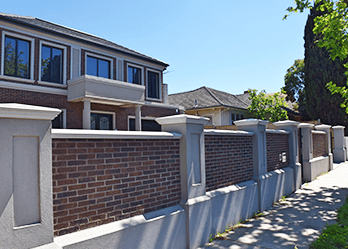 For fences and gates Melbournians can rely on, you can’t go wrong when you choose Custom Brick Fences for your fencing in Essendon. We are on top of the game when it comes to customer service and product range. Our main goal is to please our customers, that’s why we train our staff to have the extensive knowledge and persistence to help you with any concern or requirement you may have. If you are not sure what type of fence or gate would best suit your home, or you want to learn more about a certain type of fence or gate, you can seek assistance from one of your qualified professionals. At Custom Brick Fences we are known for producing top quality custom designs for fences and gates. 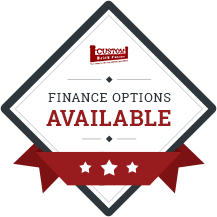 Whatever your style or request, we can specifically create a product that appeals to your needs. One of our most popular products are security fences. 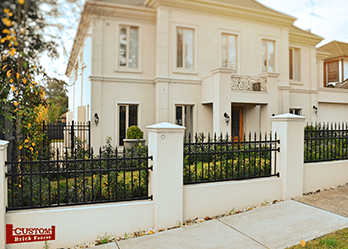 Essendon customers can feel completely protected with premium security fence custom-made for their homes. Do you want to learn more about our fences and gates? Essendon’s best choice is Custom Brick Fences.